Join moderators Dr. Angela Winand, assistant professor of African-American Studies and Dr. Michael Murphy, assistant professor of Women & Gender Studies at UIS for a screening and discussion of the documentary Brother Outsider: The Life of Bayard Rustin. This event will take place in Brookens Auditorium beginning at 6 p.m. Rustin was there at most of the important events of the Civil Rights Movement - but always in the background. 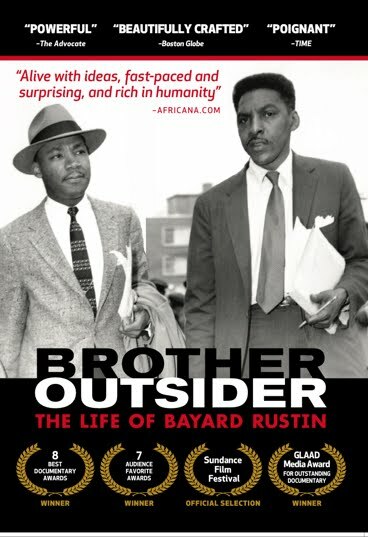 Brother Outsider: The Life of Bayard Rustin asks "Why?" It presents a vivid drama, intermingling the personal and the political, about one of the most enigmatic figures in 20th-century American history. One of the first "freedom riders," an adviser to Dr. Martin Luther King, Jr. and A. Philip Randolph, organizer of the march on Washington, intelligent, gregarious and charismatic, Bayard Rustin was denied his place in the limelight for one reason - he was gay. Carlotta Walls, the youngest of the Little Rock Nine members to integrate Central High School will discuss her book A Mighty Long Way: My Journey to Justice of Little Rock Central High School. The discussion will take place beginning at 6 p.m. in Brookens Auditorium. Her act of courage and defiance became the catalyst for change in the American educational system. By ushering in a new order, she and her fellow warriors became ‘foot soldiers’ for freedom. Tunnel of Oppression, an interactive event that highlights contemporary issues of oppression as part of Black History Month. This event will take place on Wednesday, February 9 from 4 to 7 p.m. and Thursday, February 10 from 11 a.m. to 2 p.m. in the Public Affairs Center (PAC) first floor conference rooms. Tunnel of Oppression is designed to introduce participants to the concepts of oppression, privilege and power. Participants are guided through a series of scenes that aim to educate and challenge them to think more deeply about issues of oppression. At the end of the tour, participants are provided with the opportunity to discuss their experiences with each other. Facilitators help participants reflect on their experiences and put their newfound knowledge to use in their everyday lives. 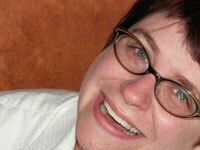 Additionally, Jessica Pettitt, a speaker well-versed in issues of social justice, will engage with students in a dialogue following the event. Retired U.S. Marshal Robert Moore will sign copies of his book The President's Men – The Untold Story, Black U.S. Marshals starting at 7 p.m. in the Public Affairs Center Conference Rooms C/D. Moore holds two degrees from the University of Illinois Springfield and has had a distinguished career in law enforcement, serving as a chief of police, deputy chief of police, state police officer, affirmative action officer and deputy sheriff in addition to his stint as U.S. Marshal. For more information contact Dr. Clarice Ford, executive director of the UIS Diversity Center at 217/206-6333 or email cford21@uis.edu.